R. was born and raised in a religious community in central Israel. Last year she made contact with a young Arab. A few months ago she moved to an Arab village in the north to be with him. 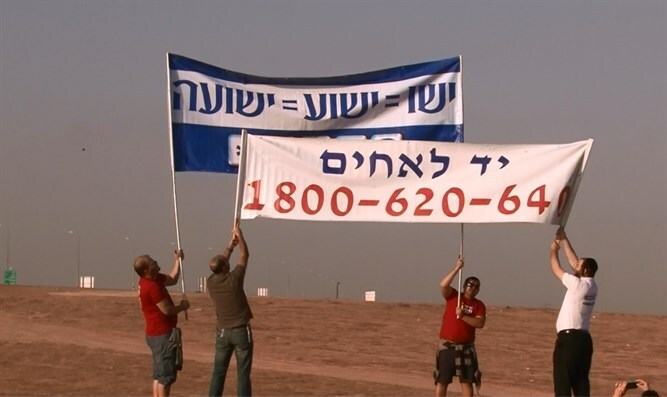 "About a month ago," the organization Yad L'Achim, which helps Jewish women escape from abusive Arab spouses or families, explained, "R's mother contacted us for help. While explaining her desire to end the relationship between the two, she asked us to give her advice on what parents should do when their young daughters fall into this kind of situation. She also asked us to give her the tools to bring her daughter back on the right path." For a long time professionals from the organization attempted, together with R's mother, to convince R. to end the relationship, all without R's family finding out. All of their attempts to convince R. failed. "Then we received help from an unexpected place. One day R. contacted us saying that she wanted to meet with us. When we tried to determine the reason for her change of heart, she told us that the Arab she moved in with asked her to contact Yad L'Achim." R' explained to Yad L'Achim that the young Arab she was living with "suffered abuse as a child" and that he had begun to "express concern" whenever they talked about the future of the children they would have. "I was convinced that he wanted to raise the kids in our house, which is the same house as the rest of the family." R. explained. "But he is actually terrified (of doing that) when he remembers how he suffered growing up. Children who are considered Jews could suffer even worse within this household." "He told me that he had heard about the organization Yad L'Achim that helps girls and women like me and that I should contact them for help about raising and educating our children. He said that he had checked and that the Arabs did not have the kind of organization that could help deal with this kind of issue. Since he had traumatic experiences he wanted to take action early on." The organization said that while it is unusual, there have been cases in the past when Arabs approached them for help. "You could say that the other side is not happy either about relationships between Jews and minorities. They understand the incompatibility and complexity of this dubious connection," the organization said. "Today we provide R. with professional and emotional assistance. We also provide her mother with support. We have good reason to expect very good news."